We won't be covering the trust or delivering results parts here, just the second part of the equation. Since remote communication is asynchronous in nature you need tools that adapt to it, e.g. Slack/Email/various issue trackers etc. However, at some point you will need to exchange informations in a "real time meeting" so as to coordinate and to get on the same page with your partners. It's of supreme importance to have clear and concise agenda, a meeting leader along with a host of others things, most of which are far better described here. Nevertheless, it is also very important to have proper hardware equipment -microphone/speaker/camera combo - allowing you to maintain a proper flow of communication. Which is both funny and sad at the same time. This is probably most disturbing for whoever is the one paying for those "meeting" hours. That being said we feel like investing in proper equipment is worth it. It helps to mitigate a lot of the issues that might arise, as demonstrated in the above video. The right equipment can help you in maintaining an effective communication channel. Having a bad meeting is not good for anyone, it just frustrates everyone and worsens the moral. There are a lots of solutions to choose from, we opted for Logitech GROUP. 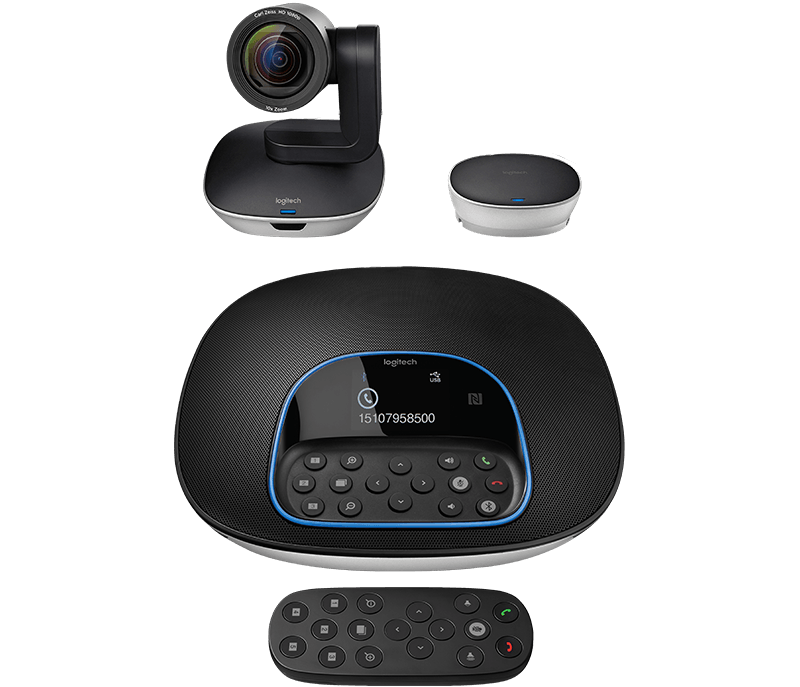 Logitech's GROUP system allows you to have multiple people inside of a room. The other end of the call will easily see everyone who's present at your meeting, with top-notch video quality and proper zooming options. If needed, you'll be able to easily switch your view to focus on the whiteboard or perhaps even manually direct the camera at whatever is important at that moment. The sound is crystal clear and there is almost no echoing going on. In one word it is a dream come true. This is not intended as a sales pitch for the product but the thing really works as advertised. The biggest problem you'll come across when searching online is the pan/tilt/zoom camera not remembering its exact position (you can predefine 5 positions), but this is a non issue for us as it takes a mere 3 seconds to adjust the camera with the remote. At one point we began noticing something rather troubling. Somewhere at the 10 or 15 minute mark during a call, the sound coming through the Logitech GROUP speakers was becoming increasingly garbled. It seemed like a combination of "static" and just plain cutting-off of the other side while they were talking. Increasingly, the sound kept becoming worse. After a while the other side's talking would get unrecognizable. Thankfully the problems we had with the sound turned out to be a firmware issue.Apparently something changed in OSX 10.12.1's version of the Core Audio component and this led to the messed up speaker performance we were faced with. You can find the new firmware here or you can download it directly from here. A simple firmware update remedied the above problem. We did not face any issues afterwards. Fingers crossed. I find it to be a really nice piece of equipment. It is well worth the investment considering how painful - both for the wallet and spirit - a bad meeting is.